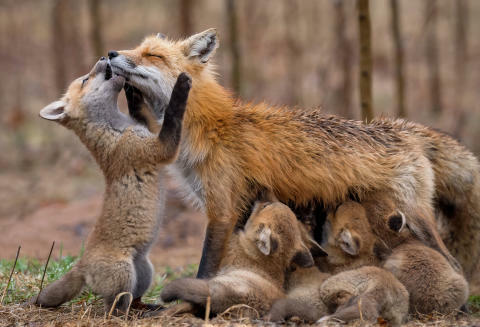 "I had the opportunity last spring to watch this family of foxes grow up just a short two minutes from my house. Everyday, this dedicated mother made multiple trips back and forth to the den to deliver food to her kits, and to let them nurse. This vixen (female) was always excitedly greeted by her kits upon return. Riverview, NB, Canada."